Maharashtra Public Service Commission announced MPSC Assistant Town Planner Recruitment 2018-2019 Notification. Apparently, they are hiring few candidates for 172 Assistant Town Planner Positions. This is a call for all the people who are unemployed and hunting for the Government Jobs in Maharashtra State. But all the aspirants should observe that the officials of the MPSC have kept some Requirements to take the applications. Therefore, all the people who are applying for the MPSC Assistant Town Planner Recruitment 2018-2019 should have them while applying. Also, the contenders should notice that there are some commencing as well as final dates to submit the application form and to pay the application fee. Basing on the information in the official advertisement, the Maharashtra PSC Officials are accepting the applications in prescribed format from 9th March 2018 itself. Also, the closing date to submit the application form is 31st March 2018. Check further. Sure shotly this MPSC Assistant Town Planner Recruitment 2018-2019 Notification is a good news for the people who are searching everywhere to apply for MPSC Jobs. Now, it time to make this more real, to fulfill your dream to get placed in the Maharashtra Public Service Commission. Accordingly, the officials of the MPSC are going to accept the applications, if the applicants are having all the qualifications correctly. Therefore, now all you have to do is check the information and then proceed to apply if you are eligible and have had all the requirements correctly. Do not worry if you are unaware of the information regarding MPSC Assistant Town Planner Recruitment 2018-2019. Because this post contains them all. According to the MPSC Assistant Town Planner Vacancy 2018-2019 Notification should have finished Graduation in Civil Engineering/Civil and Rural Engineering/Urban and Rural Engineering/Architecture/Construction Technology/Urban Planning as education. Now, by checking the above table, the contenders can find some important data about the MPSC Assistant Town Planner Recruitment 2018-2019. Basically, the above table consists of information like Name of the Vacant position, Number of Vacancies, Starting Date to apply, Closing date to submit the application Form, Mode of application submission along with the Official site to check the information. Along with all these stuff, the contenders will also find about the Steps to apply for the MPSC Assistant Town Planner Recruitment 2018-2019, Salary, Selection Process, Age limit, Age Relaxation, Application Fee and all. Therefore, check them all. And then if you are eligible, decide it to yourself to apply or not. But remember that this is a golden opportunity for the citizens of Maharashtra State. Now, as per the information in the MPSC Assistant Town Planner Recruitment 2018-2019 Notification, we gave about the Educational Qualification in the above section of this post. Now, all the applicants should remember that they need to have the above stated correctly. If not the application form is invalid. Along with the submission of application form, the contenders are asked to pay the Application Fee. Basing on the information in the MPSC Assistant Town Planner Recruitment 2018-2019 Notification, the aspirants should pay Rs.374 if they are from General or UR or OBC Category. And the SC/ ST People have to pay Rs.274/– as the Application Fee. Please remember that before paying the application fee, kindly take some time and check the advertisement. This will make you clear about the payment details. 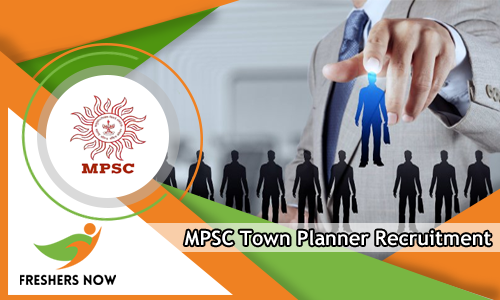 Find out more other information about this MPSC Assistant Town Planner Recruitment 2018-2019, by checking next sections. Now, another important aspect of the requirements that the applicants should concentrate on knowing is age limit. As per the information in the MPSC Assistant Town Planner Recruitment 2018-2019 Notification, applicants need to have the correct age. By referring the Notification thoroughly the Maximum age of the applicants can be 38 years. To know the age relaxation and other details, please proceed and check the advertisement. For the sake of the applicants, we even gave the advertisement, at the end of this post. You can download it simply by clicking on it. Also, contenders have to prepare for the Recruitment Rounds, as soon as applying. According to the advertisement, the officials are going to test the skills of the applicants by conducting some hiring tests. According to the performance and skills shown in those rounds, the officials are going to choose the best individual for the position. Therefore, Prepare well. Accordingly, the Written Test and Personal Interview are the Hiring Rounds, that all people should appear to get placed as the Assistant Town Planner. According to the information in the advertisement, the officials of MPSC will send the contenders, to the next rounds, only if they clear the initial rounds. So, keep this in view and prepare. On our site, we are providing Syllabus, Exam Pattern, Previous Papers for the people. They can access them for free of cost. Now, coming to the topic of the Payscale, all the candidates should know about it. Basing on the information in the advertisement, the contenders will get Rs.9,300 to Rs.34,800/- Per month as the Salary. And also remember that the Fact that without having all the Requirements and qualifications correctly, your application form will be rejected. This implies for those who submit after the mentioned closing date. And kindly, note the fact that the information is to refer. This is not officially released. Therefore, consider in checking the official portal of the Maharashtra Public Service Commission at mahampsc.mahaonline.gov.in to make the confirmation. It would be best to check twice before making any kind of payments. So, we hope you are satisfied with the information given on this page about MPSC Assistant Town Planner Recruitment 2018-2019 Notification. For more such Fast Updates come back to our site Freshersnow.com.